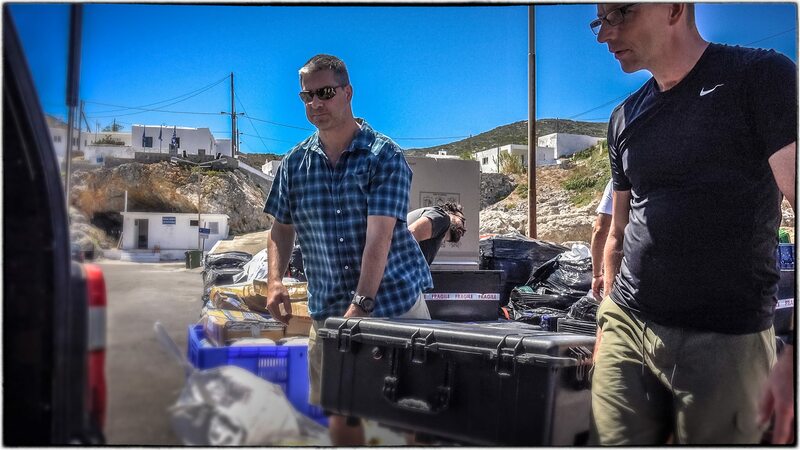 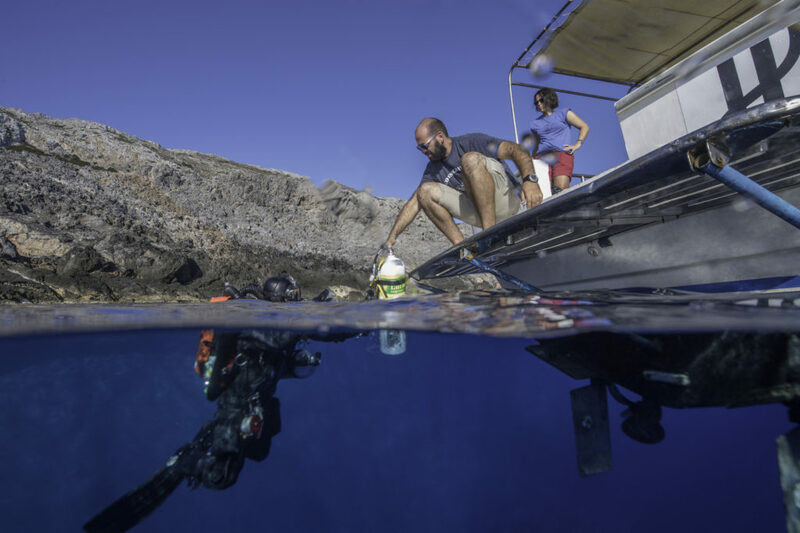 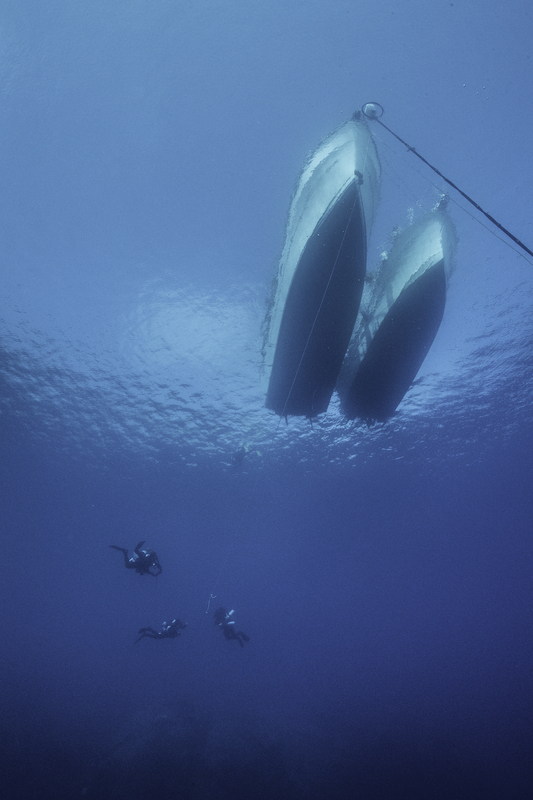 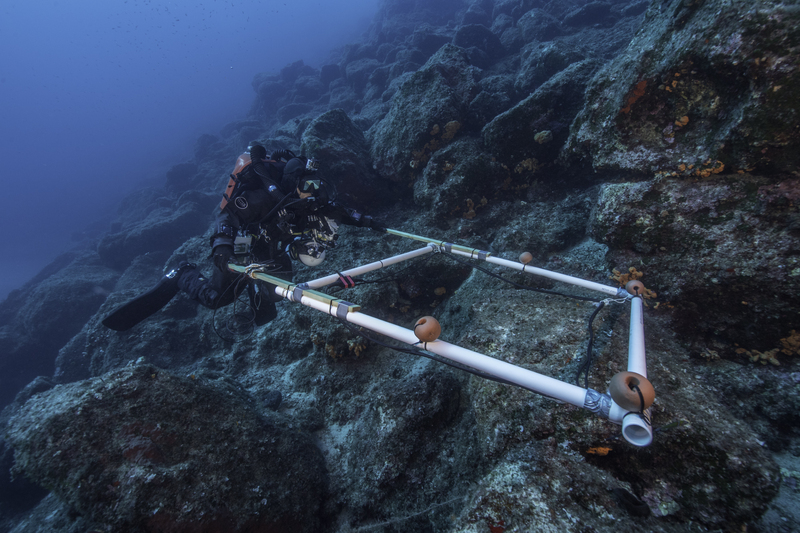 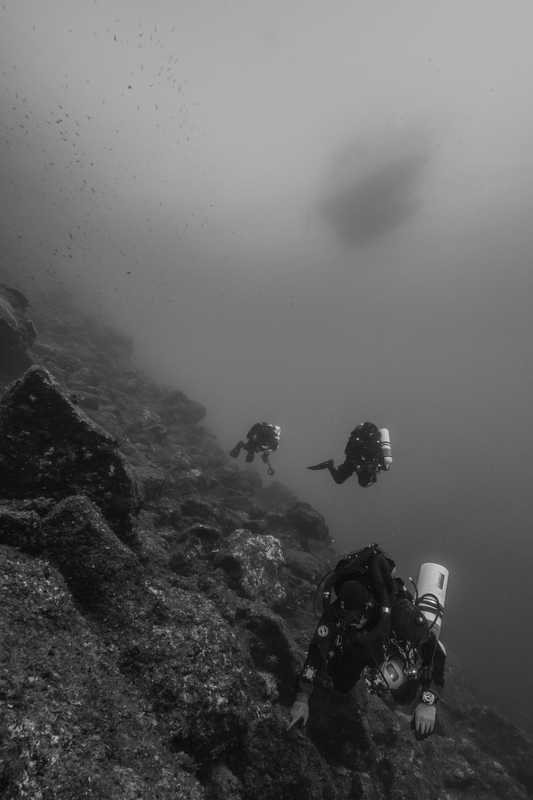 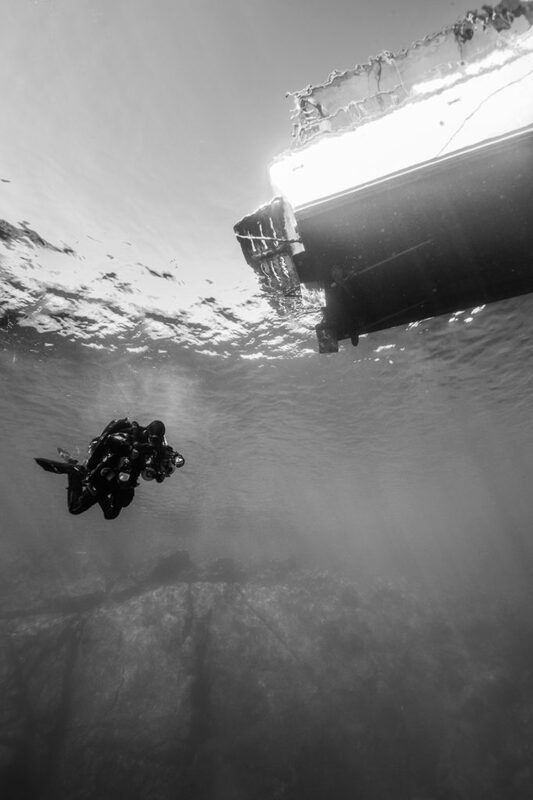 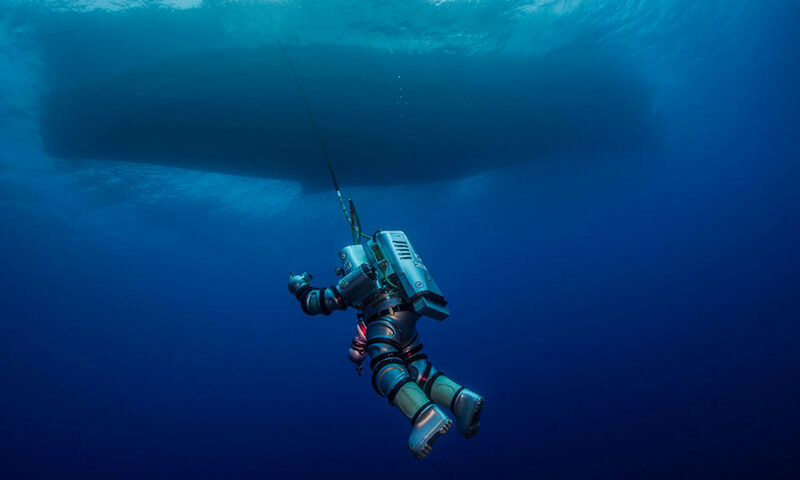 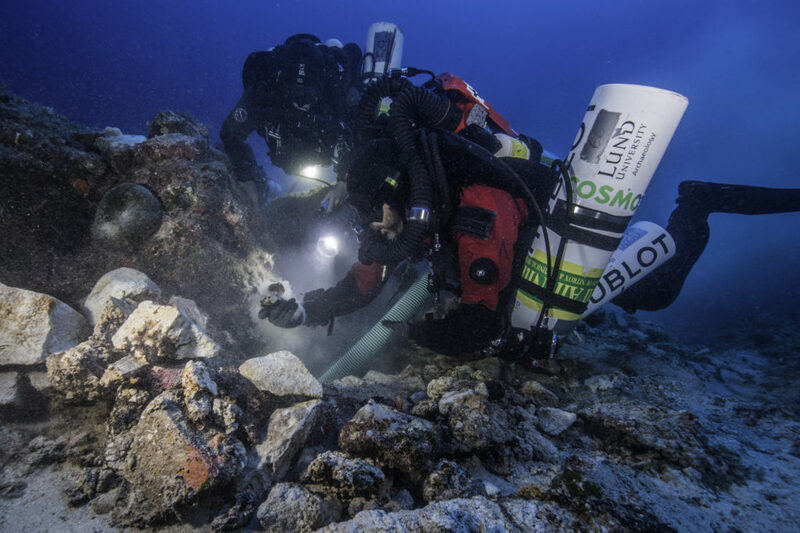 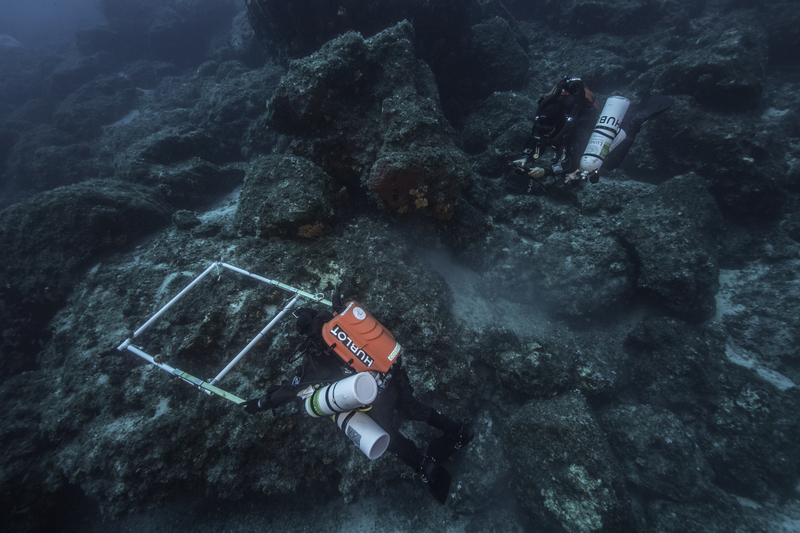 The diving continues at Antikythera. We have had a run of exceptional weather with light winds from the west which allows the team to access the site under the protection of the island. 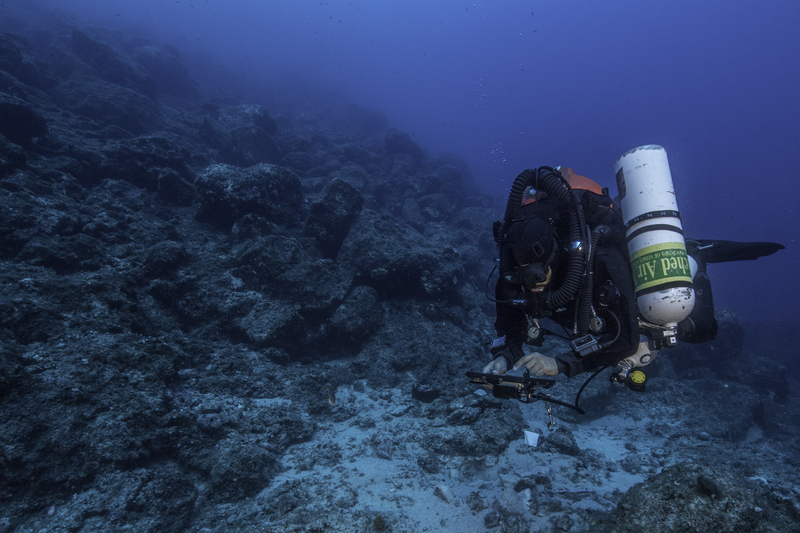 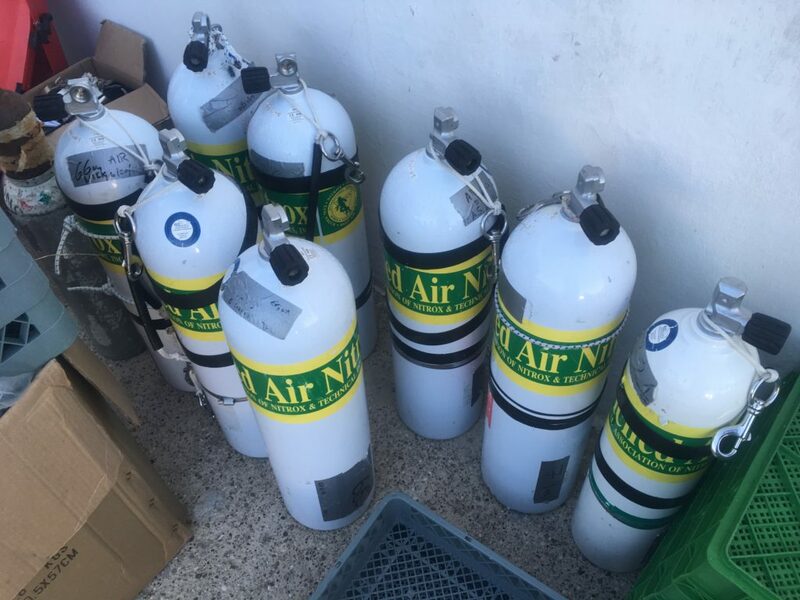 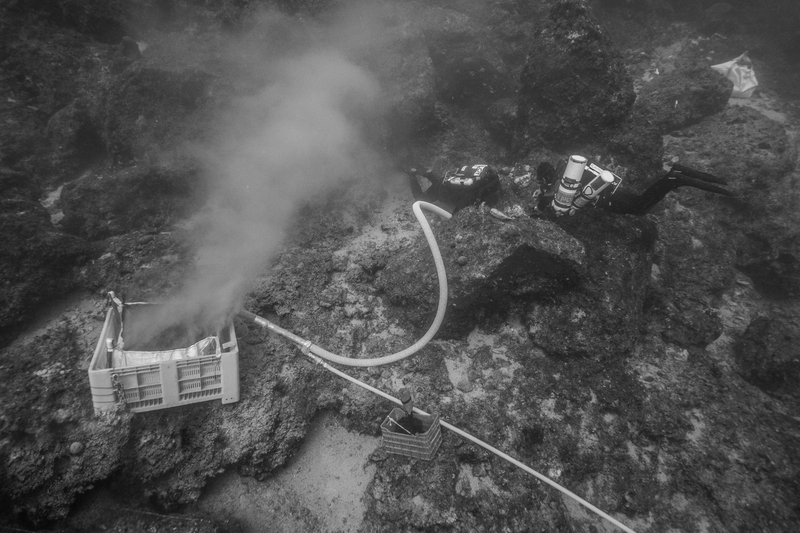 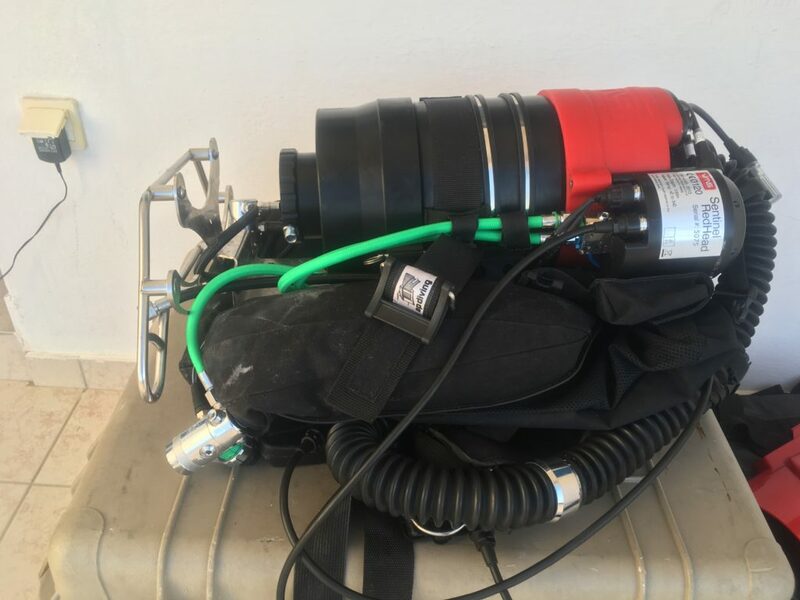 Todays dives were focused on continued test excavations in known areas of the site that have yielded either diagnostic finds or metal detector signals. 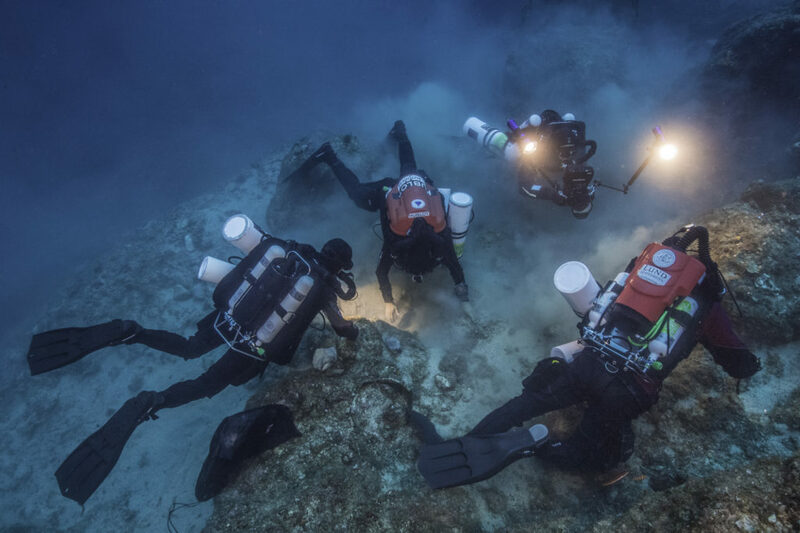 In addition, divers and archeologists worked to delineate the extent of the wreck site with the use of specially engineered metal detector capable of penetrating deep into the sediment or under rocks. 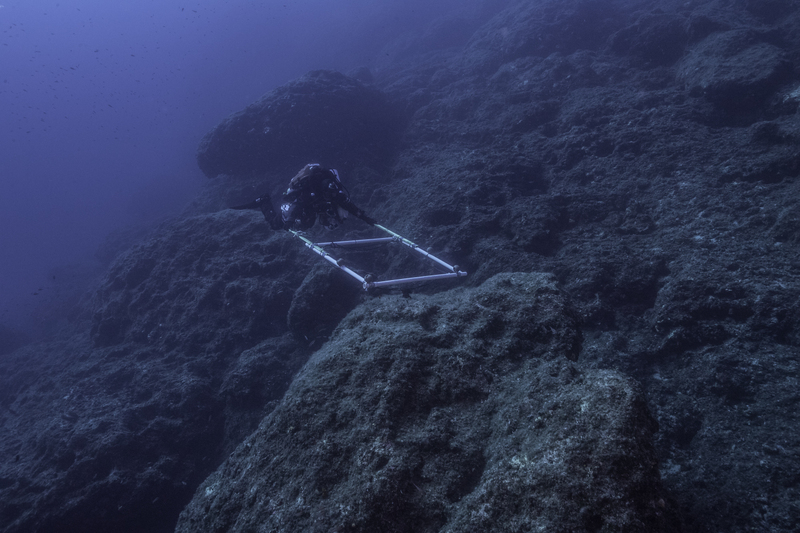 Each “hit” is recorded on the GIS based high resolution map generated in 2014 with the use of a subsea tablet and will be investigated on subsequent dives. 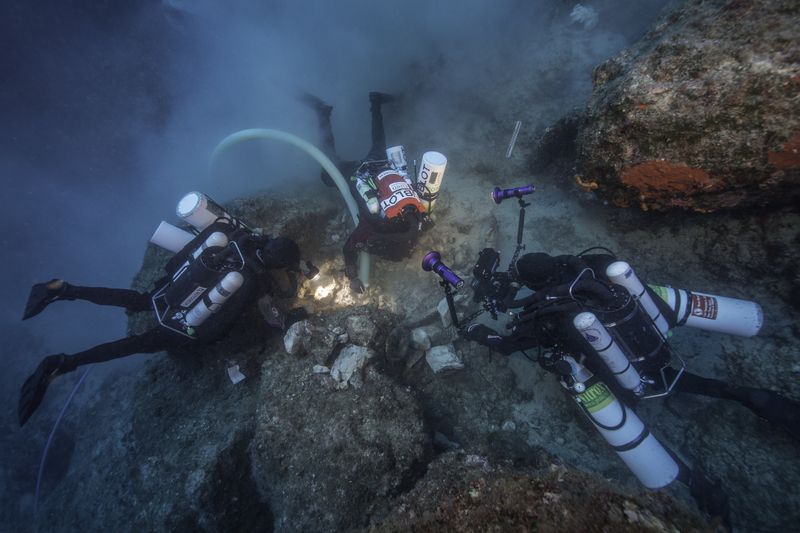 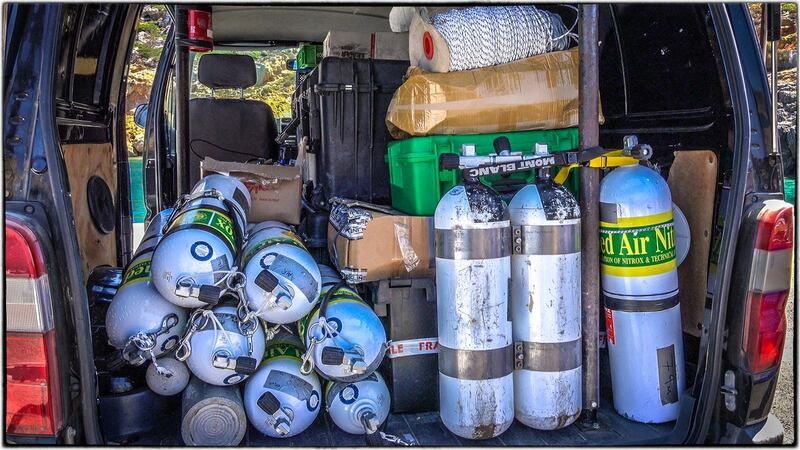 This growing database of artifacts, site diagnostics and surveyed areas aid the archeologists in understanding the position of the wreck and the 2000 year plus site formation process. 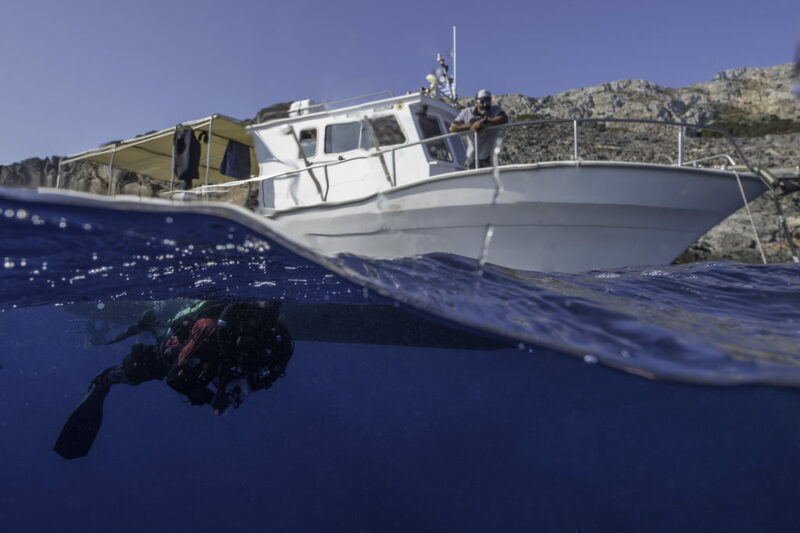 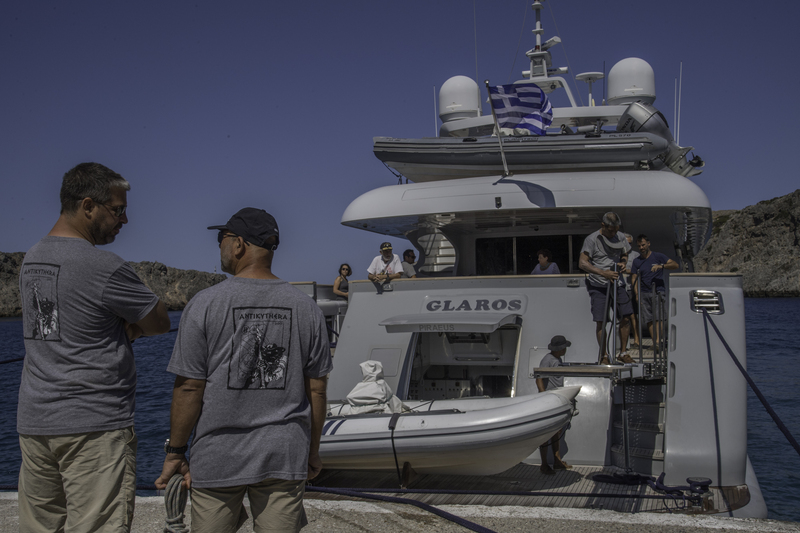 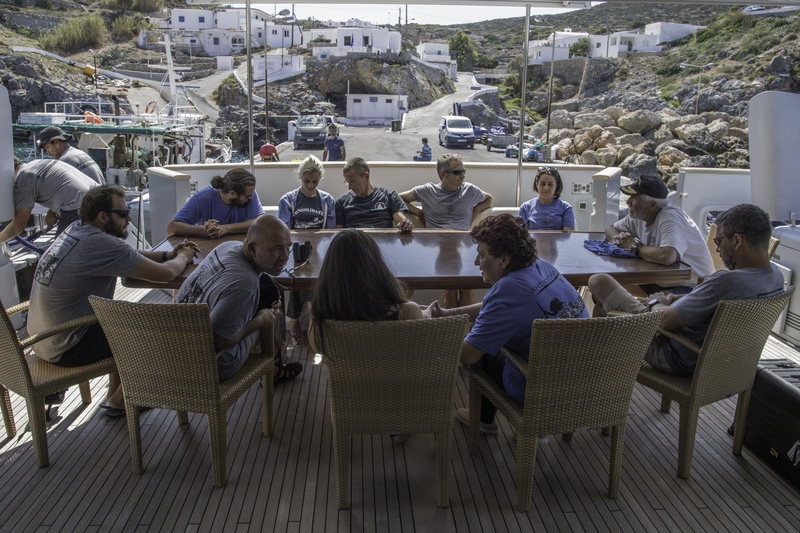 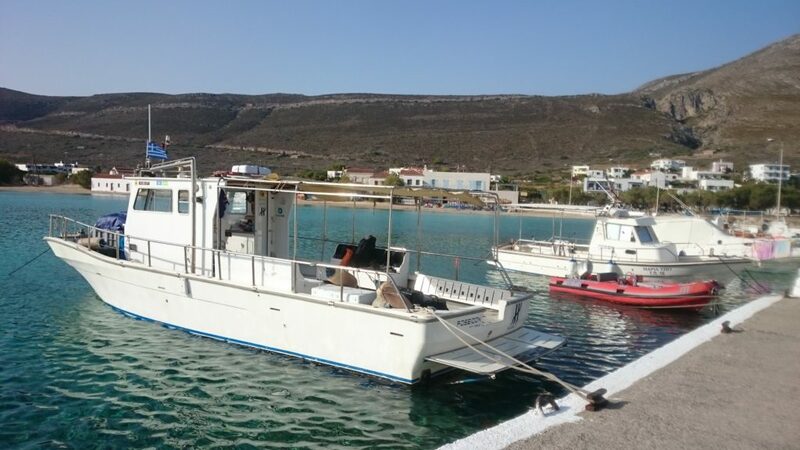 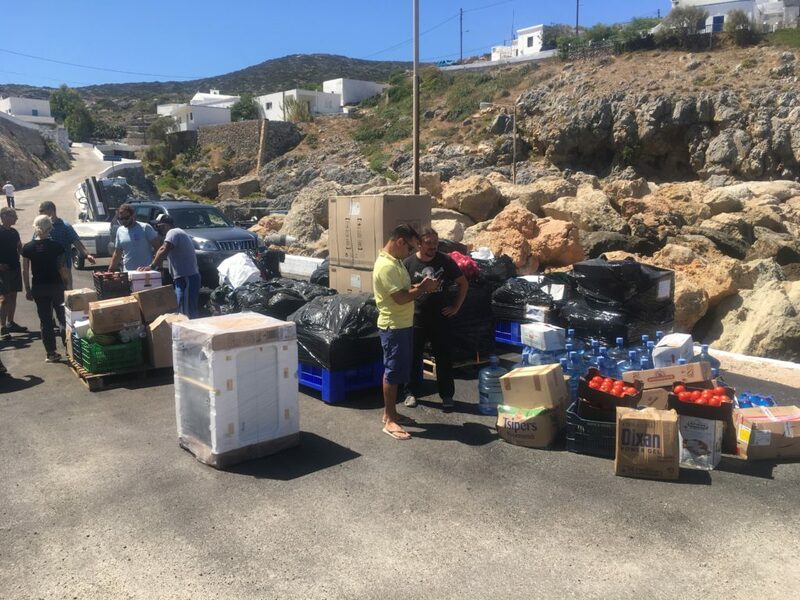 Upon completing the diving rotations the team was met back in Potamos Harbor by project supporters aboard the familiar M/V GLAROS. 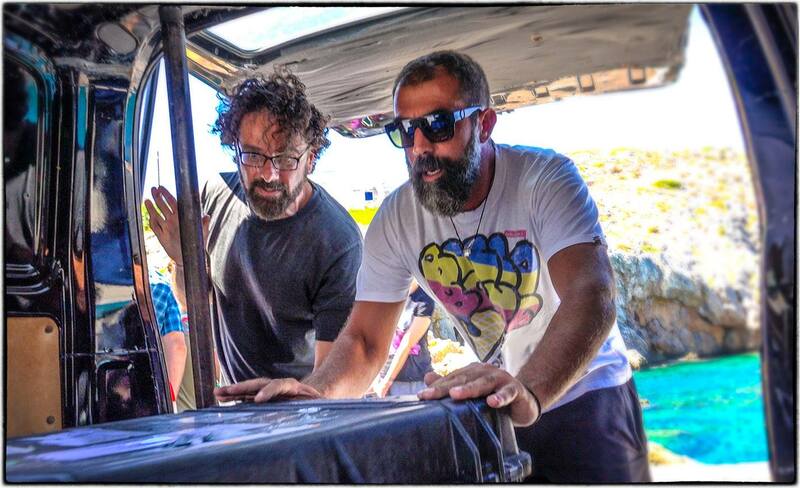 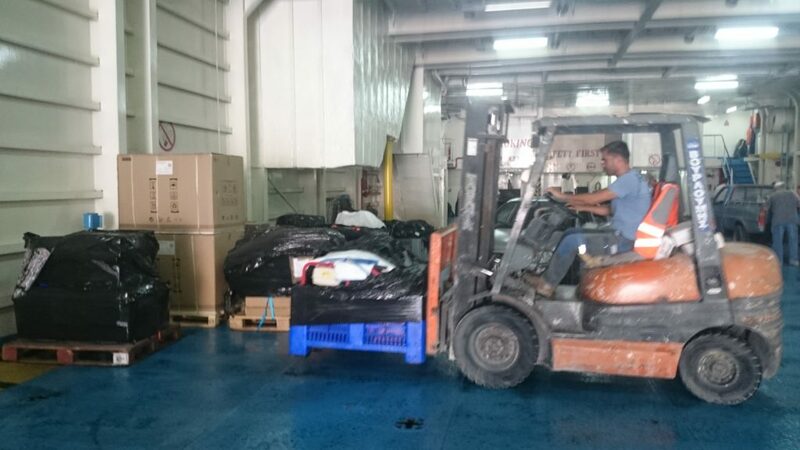 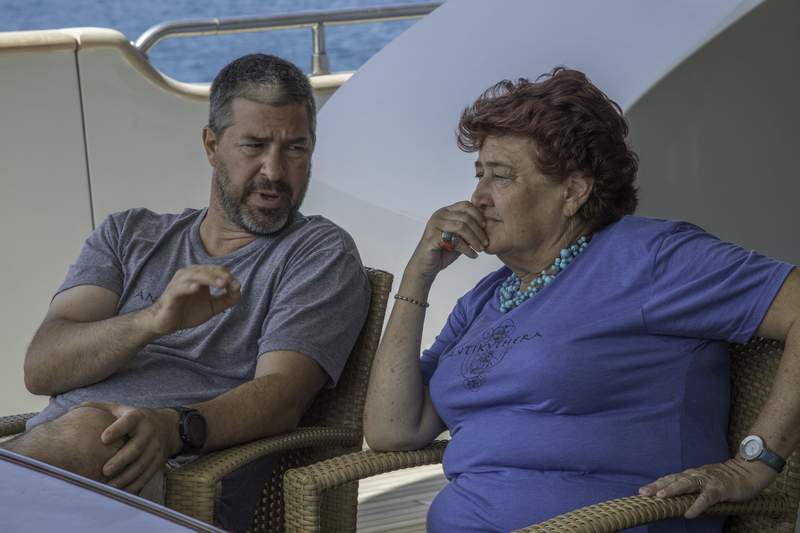 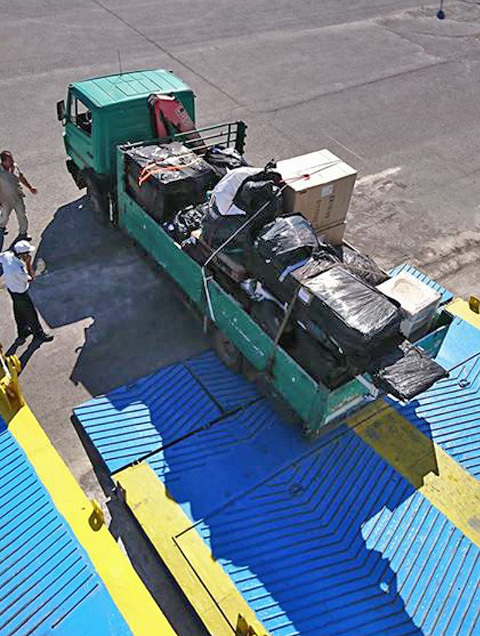 Those aboard included Panos Laskaridis and Dr. Ageliki Simosi, Director of the Ephorate of Underwater Antiquities. 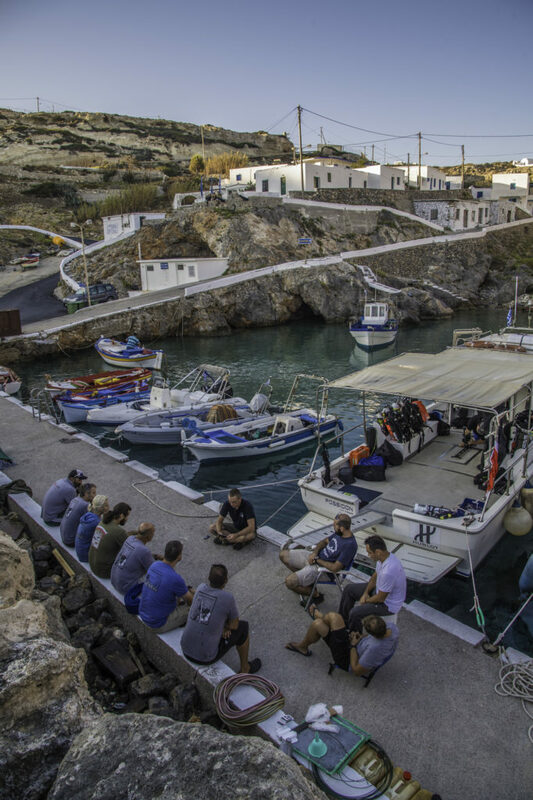 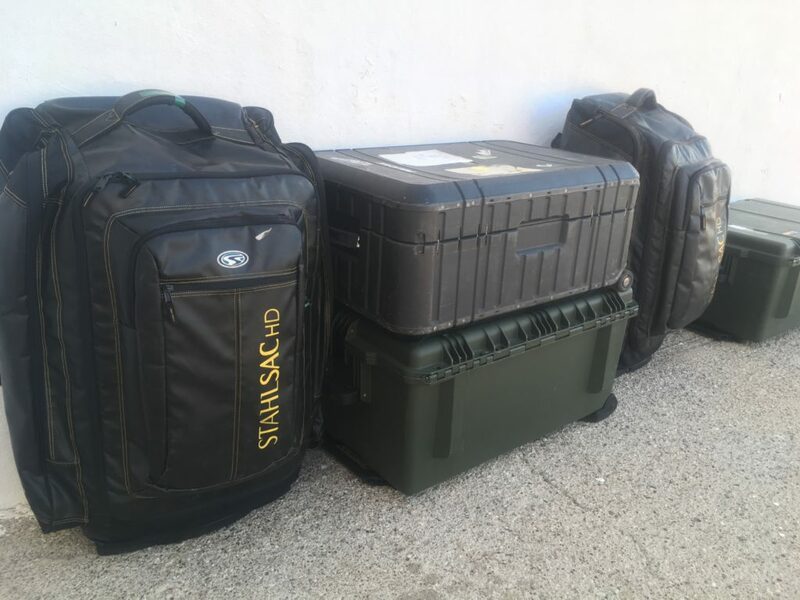 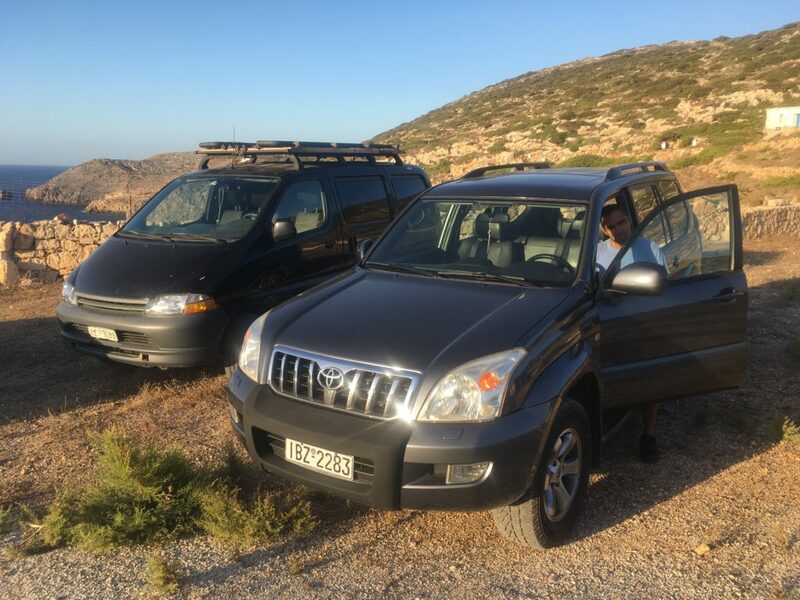 Even though Antikythera is in a remote location, we remain connected to the rest of the world through the latest 4G technology. 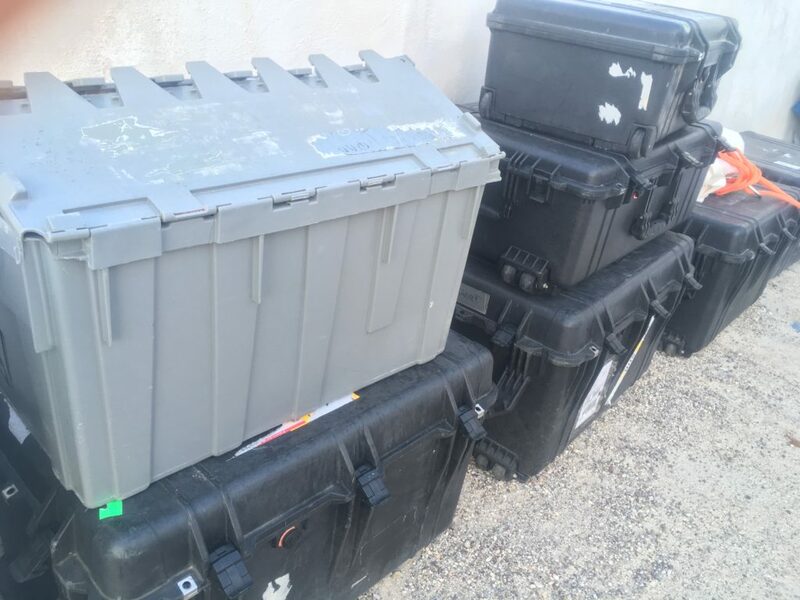 Quality telecommunications are also vital for 3D modeling and remote data processing, interactive software support, firmware updates, cloud storage, and video conferencing with stakeholders around the world. 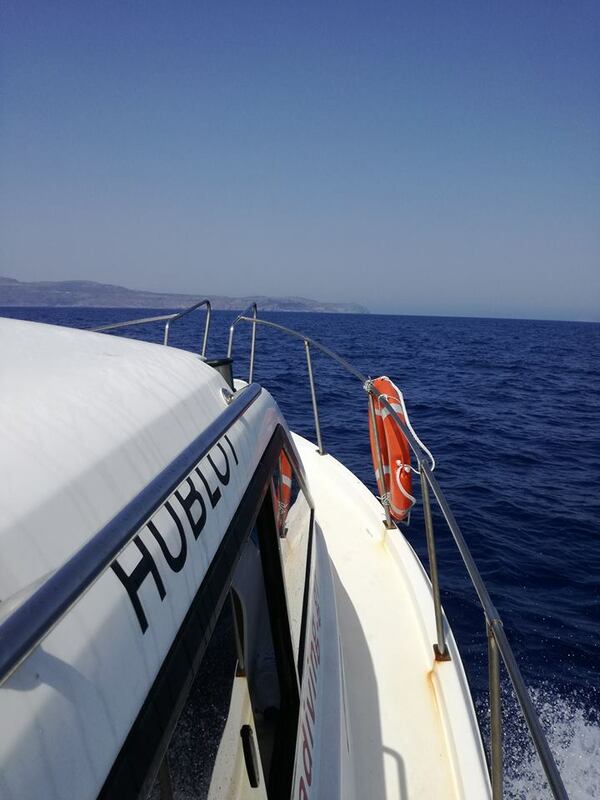 Once again, COSMOTE has exceeded expectations in keeping us connected. 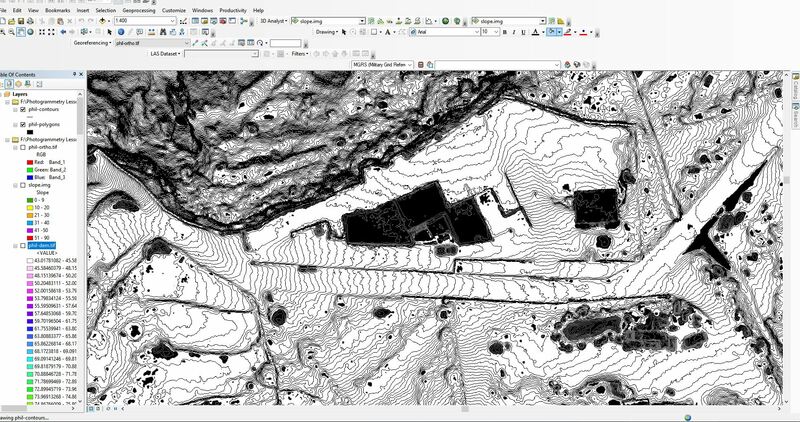 Remote & cloud-based data processing. 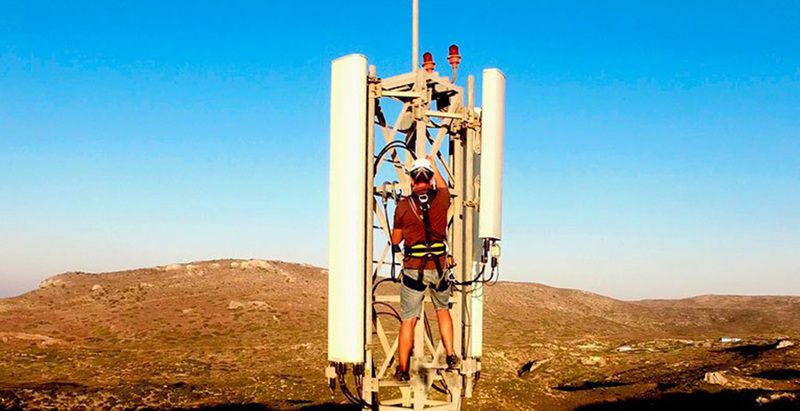 One of the 4G cellular towers in Antikythera.